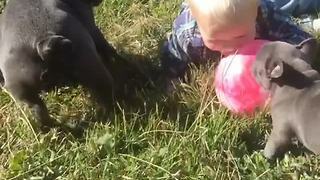 Rumble / Priceless Moments - Toddler playfully throws sand at Boxer dog, watch their hilarious interactions. 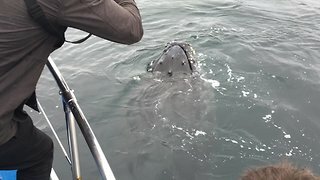 Sorry, but I don't find anything funny about this video. The idiot parents should be teaching the child that it IS NOT cool to throw sand in ANYONE'S face--human or animal. It can cause scratches & injury to their eyes. (When an animal is digging on their own, they know when to keep their eyes closed--but not always, when something unexpected comes at them.) 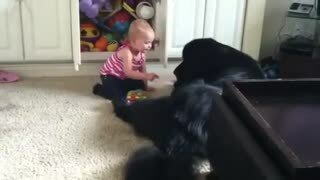 Also, are the parents so deaf that they don't hear the dog whining towards the end of the video?...and what is really bad is when a dog that is treated like this has finally had enough, so they bite the kid...then, the parents want to blame and/or punish and/or "get rid of" the dog. What is WRONG people? Doesn't anyone have any common sense nowadays? Kahebert, Whilst I can understand your confusion, I can also understand how difficult it is for you to fully comprehend the relationship between Kai and Nikki. They have grown up together, Nikki was 9months when Kai was born and the lobe and closeness of their connection cannot be explained in words. Believe me , if there was anything dangerous about their interaction we , as responsible parents, would step in, as we regularly do when required. 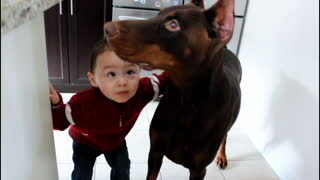 Again, thank you for your concern, however I can assure you that both boy and dog are perfectly safe and in good hands. Now now Harambe, no need for this language. 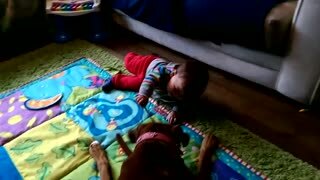 As per my reply to Kahebert, I can assure you that both dog and boy are safe and in good hands. Whilst I appreciate your concern, the language you have used is immature and uncalled for. Justice, thanks for your concern, however i do not agree with you... unless you can see the interaction between them on a daily basis and understand the dynamics, i do not think you have grounds to judge this. they are like brother sister, the love between them is immense. 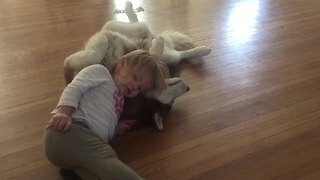 Kai would never act like this with any other dog just as siblings would play with each other in a certain way but not with other children. Similarly Nikki would never hurt Kai, in fact she saves him from falling at times and protects him whenever we are out in the park. Again i can absolutely assure you that it was a friendly interaction and whilst it may not seem so from an outsiders point of view, seeing them on a daily basis confirms that this interaction is their way of playing with each other in a safe manner. thank you again for your concern. I'm just wondering why a child this age is still sucking on a dummy. The orthodontists in your area must be watching with glee. Like the others, I am sorry that you think it's fine the way the child was treating the boxer. 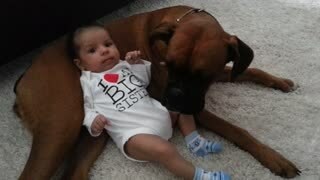 The boxer will always be loyal to the family no matter how badly he is treated. That's part of his genetics. I am sorry that you feel that it's fine that your son should disrespect such a noble dog. There was absolutely no response to whoever was filming when the boy picked up the broom. There was not one loving gesture from your son toward that gracious dog. I think you should teach your son a more proper way to play and respect your pet. 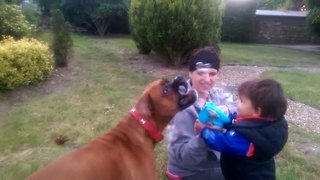 I promise, if you don't either the authorities will take your boxer from you, or your boy will do lethal harm to the dog. I am actually thinking if the proper people would see this clip, there could be some trouble. I don't know who you are, or what experiences you have had with dogs, but you are allowing your son to abuse that beautiful dog. You don't need to respond. I have already read the nonsense you responded to previous comments.